Three Parts is a column inspired by the Jack Rose Society- a group of bartenders in Boston that set out to test classic cocktail recipes until they landed on their favourite iteration. 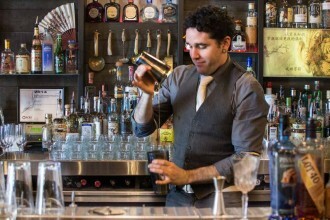 The concept is simple- we ask three bartenders to provide their preferred recipe for one classic cocktail. This week we’re looking at the margarita. Shake all ingredients with ice and dump into a rocks glass without ice, garnished with a Tajin and salted rim. “If this is about the Margarita I’d make for myself, not necessarily the one I’d serve in a bar to a guest, that means I get to be a little pickier right? Well, here goes. First, spirits – I like a basic tequila Margarita just fine, and I enjoy a more robust Mezcal Margarita as well. But rarely do people mix the two together to get the best of both worlds; that’s a mistake. 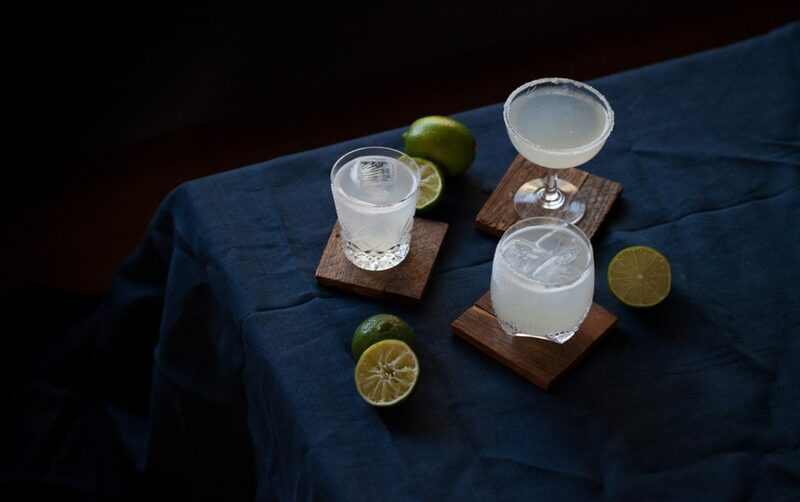 The smokiness from the mezcal really helps cut the sweetness in a Margarita, but it can be overwhelming at times – particularly when it’s hot outside and you really want to emphasize the refreshing qualities of the drink. The 50:50 balance of the two is perfect however. I like Cabeza Tequila in Margaritas because of the higher (but not too high) proof and Del Maguey Chichicapa because of the iconic mezcal profile, which isn’t too mineral-driven (like those aged in clay – not the best for a Margarita) or too sweet. Limes. It’s weird to me how neglected the evolution of citrus is as a topic in today’s modern bartending community. What we use as a standard lime today is a hybrid that was cultivated increasingly throughout the last century – reaching heights as globalization standardized citrus sold in the US. Blending Persian and Key Limes is ideal for a Margarita – the Key Limes are bright and acidic and the Persian Limes have a great texture for mixing. Together, they make a better “lime juice” for Margaritas. Sweetener. I know lots bartenders and Margarita peanut gallery members hate agave nectar and prefer an orange liqueur. I like Margaritas done in that style too, but I want something sessionable/poundable when I’m drinking Margaritas, and that to me means I want a friendlier drink that has a touch more sweetness. That’s why I opt for agave nectar, and if it’s good enough for Julio Bermejo, it’s good enough for me. After all, this recipe is just a riff on a Tommy’s Margarita anyway. The dump. I don’t know – the shake and dump just tastes better than the shake and strain over fresh ice, which causes another washing of the drink to occur. People typically avoid this because the shaken ice tends to melt quicker than the fresh ice you would strain a cocktail over. Those people don’t know how to drink a Margarita. Prepare two lime wedges and pint glass with a salted rim, measure all ingredients into a dry shaker, add ice and shake, double strain into your prepared glass over crushed or pebbled ice. Garnish with two lime wedges.